Inger found herself quite captivated by the redwood groves in the fog, with the cool damp air around her. A spiritual place, and very inspiring. 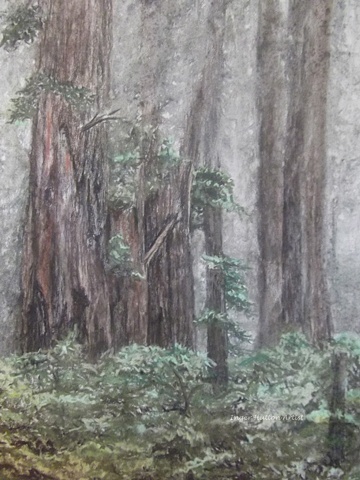 This piece shows the tranquility in nature found within the California Redwoods.